At one point at home, you plan to change your bed sheet. One reason could be that it already looks old and you have already saved for a new set. Another reason is that it got a big hole from being ripped accidentally and that sewing it off is no longer helpful to restore its original beauty. Or probably, something was spilled on it that you can’t remove the stain anymore. There might be other reasons to decide replacing your bed sheet. But replacing isn’t much of a problem, especially if you had already saved a sum of money to purchase a new one. 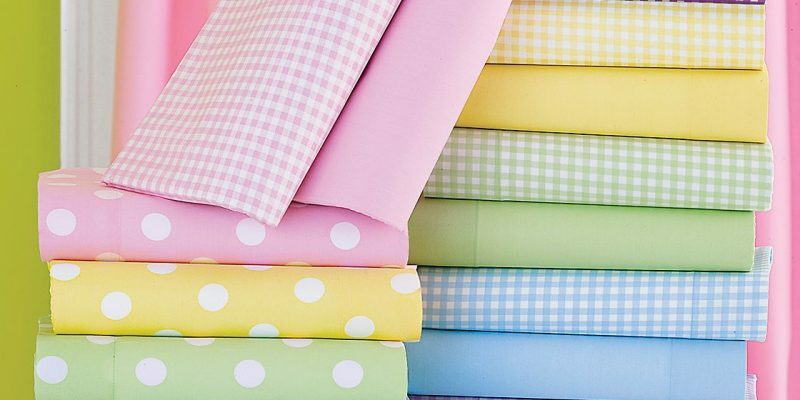 The biggest problem you would probably face is how to deal with your old sheets. Disposing it off wouldn’t be the best option only if you know how to handle an old stuff as this. By trying to be creative, there are lots of things you can do to continue using your old bed sheets. Here are some helpful ways for your options. If you have unused furniture at home, you can use old bed sheets, particularly the white ones to cover them. When you plan to have a getaway at somewhere far – a vacation for a few weeks or months perhaps – you can cover some of your most treasured furniture with old bed sheets to keep them away from getting dusty . If you wish to have a general cleaning in your house, you can use bed sheets to cover certain areas while dusting your furniture. And also if you are about to do some heavy-duty painting jobs, you can use your bed sheets to protect your furniture from being stained with paint. When Jack Frost comes in with chills to freeze your plants, you can use your old bed sheets to keep your plants protected . The bed sheet allows moisture to escape while protecting plants from the chilly air and harsh elements. You can cut your old bed sheets to create dust cloths. You can surely have something to pick up those grey “bunnies” without buying any readily made price-worth dust cloths in markets. Just make sure to dust and wash sheets often to eliminate the risk of dust mites around your home. This is one of the most creative ways you can reuse your old bed sheets. Creativity matters a lot in making a nice apron for your next cooking session. It would be great to use sheets with good designs and aren’t plainly colored. Perhaps, those with flower designs would look perfect, added by some lining at the edges like the one similar to this image. We use laundry bags to store our cloth clips. Well, in case you don’t have any dryer at home, you usually hang your clothes on a clothesline. So if in case you don’t wish to dispose your old bed sheets (especially those with a sentimental value), you can reuse them by cutting them to make a laundry bag. You can creatively reuse your old bed sheets to wrap your gifts. Now that Christmas is coming, you now have a good idea on how to wrap your gifts without spending a lot in the process. This activity is pretty exciting. But before crocheting, remove all elastic from fitted sheets and prep your seams for flat pieces. Then turn them into into small strips roughly 3/4″ and knit it together. This is a great project to get kids involved and to spend time with the entire family. So don’t immediately stop at a nearby fabric store for your next crafting project, instead check out your old stuff if you have an old fabric for your next crochet rag. This is not applied to every old bed sheet, but if yours has a design that matches your wall perfectly, you can use it as your curtain. White sheets are best for this as white color goes along with almost any color. Save your old bed sheets for your next picnic with your kids. May it be at the park of at the beach, you can use old sheets as circle towel to place your foods and stuff and spend the picnic fun with your whole family. White old bed sheets are excellent for this. In case you wish to throw a party with a specific color theme, your old sheets will help make the decor of your event worth remembering. It can be used as an easy cleanup at its end. You’ve finally bought your new and beautiful linen bed sheet . With these simple tips, you don’t have to dispose your old ones immediately. There are certain ways you can do to reuse old sheets. Just be creative and let the ideas come out from your mind.